A few weeks ago, I shared all about what I do as a writer, blogger, virtual assistant, speaker, organizer, etc. etc. As you can read in that post, there are many different part-time components that make up my full-time job… and I like it that way. There is never a dull moment and I never get bored! Each day, I spend my working hours in many different ways — so it shouldn’t be a huge surprise that I generate my income from many different sources as well. The online world is a crazy place to work — and I’ve definitely learned a lot in my 3 years of blogging. I am by no means a master at monetizing a blog, and I’m certainly still have a LOT to learn, but since all my posts are about my own real life experiences, I thought I’d take a few moments to share a bit more about how I earn a full-time income — entirely from my online business and blog. Believe it or not, I actually started writing this post months ago. I had it written and ready to go… but then I chickened out. Money is such a hard topic to write about, you know. If I share too much information, it seems tacky and prideful; but if I don’t share ALL the facts, I get judged and people make false assumptions. So I’m trying to walk that delicate line between “too much” and “not enough”. I’m keeping some of the facts private while providing enough information for those of you (and there are a lot of you) who have asked so many questions about how I make money doing what I do. This is a very long post — not because the topic is so complicated, but rather, because it took me a REALLY long time to figure out how to build my online business. I want to share that time-frame and highlight how long it took because, based on all the questions in my email inbox, there are way too many people who think they can just “start up a blog, make a bunch of money, and quit their jobs”. Unfortunately, it doesn’t work exactly like that (unless you’re a Kardashian). Blogging is most definitely NOT a “get-rich-quick” way to earn a living. In my personal experience, monetizing my online business required lots of learning, lots of late nights, lots of frustration, and many months of full-time work with little to no income. Not exactly glamorous to admit… but I really loved what I was doing and I felt confident that if I gave it enough time and kept working hard, I could eventually make a living. I launched my organizing business over 6 years ago — I didn’t even know what a blog was! I had a super simple website and made 100% of my income from organizing other people’s clutter — and as I mentioned in this post, that was NOT a lot of money those first couple of years. But I was working another full-time job so organizing was more of a fun hobby I guess. However, the organizing part of my business is what eventually inspired me to start a blog. I had many clients, friends, and family members who encouraged me to start up a blog to share daily organizing tips and attract new clients. So almost 3 years ago, I started this blog. During those first few months, I stumbled my way through blogging. I made stupid mistakes, wrote really bad posts, and spent a lot of time reading other blogs to see what people were doing to get more traffic. After all, more blog traffic meant more potential clients for my organizing business. It wasn’t long until I found Blogging With Amy — a blog that specifically focuses on how to start AND monetize a blog. There was money to be made from blogging? This was all news to me — but you can bet I wanted to learn more! I started reading more on Amy’s blog, on other blogs, and around the web… apparently, there was a lot of money to be made from blogging and from the internet. I just had to figure out how to make it! I started to monetize my blog by placing a few Google Ads in my sidebar and signing up for a couple different affiliate programs. I was lucky if I made $10-$20 per month — but considering I wasn’t making anything before, this was progress! After about 4 months of using Google AdSense and being involved with a few different affiliate programs, I was earning about $80-$100 per month plus getting other rewards (like Amazon gift cards) from Swagbucks. Obviously, that’s not enough to make a living on (and it probably equated to about $0.40 per hour) — but my organizing business was growing and I still never considered the idea of quitting my organizing business to work full-time from my computer. I was thrilled to make a little grocery and gas money — and I kept reading and learning more about making money from my blog. About 5 months after I started my blog, Mandi from Life.YourWay.net emailed me and asked if I wanted to work as her Virtual Assistant. I didn’t really know what a Virtual Assistant was, but the tasks she wanted me to perform were all things I knew how to do — so sure, why not! I was thrilled for this new opportunity to earn an income doing something I really enjoyed, working with new people, and learning all sorts of new things. Mandi taught me a lot and I am forever grateful that she introduced me to the crazy Virtual Assistant world. I started working for Life…YourWay in January of 2011, and over the past 2.5 years, I’ve been introduced to many other bloggers and companies who have hired me for short and long-term VA projects (read more on that here). I still do a significant amount of VA work — and as you’ll read below, it makes up a good chunk of my income. After working as a VA for only a few months, I quickly realized this was something I had a passion for, something I had the skills for, and something I loved doing. For the first time ever, I thought and dreamed about what my business might look like if (and that was a big IF) I scaled back on the home organizing part of my business and devoted more time to the VA part of my business. After all, the income from my personal blog was growing, my VA business complimented my personal blog, and all of it could be done on my own time, in my own home, from my computer. It had been 4 years since I officially launched my in-home organizing business, and although my profits had increased significantly, I didn’t have near the passion I did in the beginning. I was tired of working in dirty homes all day, I was tired of cancellations, I was tired of all the paperwork. In fact, I was feeling really REALLY tired all the time (which was totally abnormal for me). I wondered if I had mono or if something was chronically wrong with me. Much to my surprise, I realized I was pregnant. 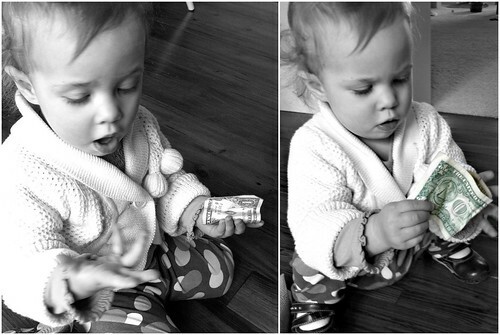 I decided that once Nora was born (November of 2011) I would almost completely stop doing any in-home organizing. Instead, I would focus primarily on generating an income from my blog, from affiliate sales, from advertising, and from my Virtual Assistant business. I decided that I WOULD continue to offer my coaching and speaking services on a limited basis (which is still the case today). This was really scary for me, because I was making a decent income from the organizing part of my business. However, as I look back, this was the best decision I could have made — especially since I was offered a new VA job with MoneySavingMom.com just a few weeks after Nora was born. Perfect timing! After Nora was born, I focused 100% of my business energy (that’s the energy I have left over once Nora finally goes to bed) into building and growing the income I earn from all my online endeavors. It took about 5 years after starting my organizing business and 2 years after starting my blog until I was finally making a good full-time income — like enough to totally support our family and enough for Dave to quit his job and stay home. However, Dave loves his job, and he’s such a good teacher/coach, so I’m sure he’ll keep working for a long time. As I mentioned at the beginning of this post, blogging is most definitely NOT a “get-rich-quick” line of work. I could have made significantly more money working a 9-5 job for those first 5 years… but THIS is what I wanted to do, THIS is what I’m passionate about, THIS is what I love! So where exactly does my income come from? Bonus = all the non-cash “payments” I received like free products, gift cards, discounted services, trips, etc. These percentages vary from month to month (and seasonally) — but that’s the best estimate I can give at this point. I’m guessing many of you are surprised to see that the income generated from my own personal blog is only around 40%… but I think that’s the beauty of the online world. 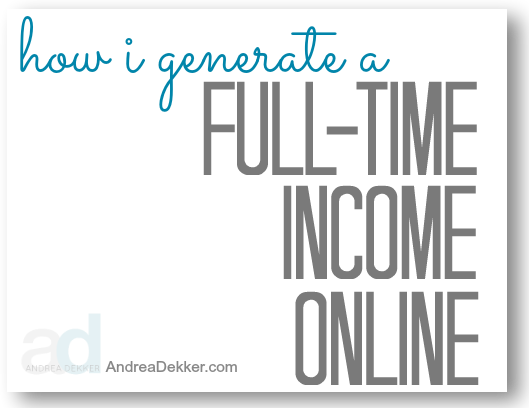 Although I don’t make nearly a full-time income from my blog, my blog has been the springboard that opened so many other income-generating opportunities for me. Without my blog, I couldn’t make any money from affiliate sales because I wouldn’t have a platform to promote them. Without my blog, I wouldn’t have the exposure to get nearly as many VA opportunities. Without my blog, I wouldn’t get paid post opportunities. 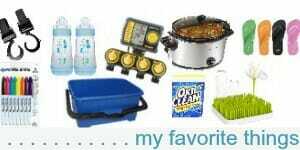 Without my blog, I wouldn’t get free products and services to review. So while the income I make directly from the advertising on my blog is wonderful, at this point in my career, I really wouldn’t be making a full-time income without all those other income streams as well. The first thing to remember is that most bloggers don’t make all their income directly from their blog, nor do they make their income from only one source. Instead, they use their blog as a way to gain exposure, build trust, be helpful and then they use it as a springboard to find other ways to generate income. Be willing to start small, work hard and be memorable. Thanks Amy, I couldn’t have said it any better myself! For those of you interested in starting a blog, working from home, earning a little extra money, or building a full-time career in the online world, I hope this post is informative and helpful. I hope it is eye-opening to hear my story and learn a little more about how exactly I make money doing what I do. So that’s it — told you this was a LONG post! For those of you who also make an income (full or part-time) online, I’d love to know how you did it or any tips you have for growing your income. Hi there! Thank you for the great information, and the reminder that if you work hard, stay focused and diligent, we CAN make this happen for our families too! You made my night! thank you for this post. I will be a certified coach by the end of the year. I am doing free coaching right now to finish my hours but will be transitioning to paid clients soon. I work as a full time therapist but plan to retire once I get my coaching career going. I would like to learn more about how to profit from blogging and will begin to work more on my blogs once certified. Right now it is a balancing act. Any help you can give me to organize my business strategies would be awesome. Thanks for your post. This was a fantastic, informative post! Thank you SO much for sharing! Thank you so much! Working on building my blog right now, and while my background is in PR/Advertising (so I understand all the theories and how things “should” work), it is still absolutely wonderful hear it from someone who’s actually done it themselves! Thank you so much for sharing. My daughter and I are working together on our small blog (for now). I hope it grows to make decent money one day, but for now we are enjoying what we do. We are both passionate about it. Great article! Wow! Thank you for sharing your experience. It is truly inspiring! yes Sharon, adverting is often directly correlated with pageviews, ad impressions, and click-through rate — so since my blog traffic has grown tremendously over the past 3 years, my ad dollars have also grown. However, I also learned a lot more about advertising and how to best utilize and implement the different ad codes — so that is part of the increase as well. WOW! Thank you for the breakdown. I have seen organizers with blogs and affiliate marketing sites and I have wondered, is it full time? Is that possible? I appreciate all the tips, and LOVE your site. I really apperciate your sharing the information you did today. It is helpful to get an idea of the overall timeframe of your success. I have often thought I would like to set up a coaching session with you. I recently (earlier this year) stated my own blog. I blog and share the tips and ideas I get from following blogs like yours. However, I know I would be very successful as a VA. I worked for a short time in 2011 (about 6 months) as a VA for TAGvirutaloffice.com. I found the company by chance through elance.com. I know what skills I have and what things I enjoy doing when it comes to being a VA. I know about how the process works. I struggle most with how to get my business going. Finding clients. The marketing part I guess. For example, I know there are people or business here locally who might hire a VA, I just don’t know how to go about getting myself out there. Also, I struggle with the same aspect online. Do you have any other information or resources you could share other than The Bootstrap VA? Thanks in advance for any advice and/or tips you can share. Hi Emily, Congrats on the new blog! You could try contacting Lisa (the author of the Bootstrap VA). She might have more resources as she’s been doing the VA thing longer than I have! Great post Andrea. I love your honesty with certain topics and that is why you are still one of my favourite bloggers and a big inspiration. Thanks! I’ve thought of starting online counseling/wellness coaching, student coaching, etc. I’ve also thought I could blog about wellness topics–physical, emotional, social, spiritual, intellectual, environmental, health issues, healthy living, healthy eating, family wellness, wellness for couples, children, etc. I’m currently a school counselor with an 18 mo old in day care and I hate it! I don’t hate my job, just having him in day care and feeling out of control with multiple people raising/teaching him, a lack of routine, stress from work, etc. I have 17 years experience in education, elementary and high school, and have worked 12 years as a certified part time personal trainer. I’ve counseled individuals, couples and families outside of school. I love discussing wellness and helping people with all types of wellness issues. I think I could easily write blogs related to a multitude of wellness topics that I have researched and on which I have so many notes. In addition to blog posts, I could make up weekly workouts, give training advice specific to certain sports or personal goals. My mind is full of ideas. The question is what are the chances of it being successful? Do you already know of many bloggers hitting wellness in the manner that I’ve stated above? Is there info overload about wellness already or would I be serving a need? I just don’t know what’s already out there and if I could be that unique. Any thoughts or advice? Jennifer, I personally don’t follow any health/wellness blogs — but there are literally hundreds of thousands of blogs, so I’m certain there are many health and wellness blogs out there. However, just because there are other blogs on the same topic, doesn’t mean there isn’t room for one more 🙂 There were loads of simple-living and organization blogs when I started but that didn’t stop me. If you’re interested in talking more about what is all involved in starting a blog — or just picking my brain about potencial ideas, I’d love to set up a coaching appointment with you. Blogging is a lot of work, but if you’re passionate about your topic (and it sounds like you are) it can also be very rewarding! I’m going to take a first step and write some posts during my three whole weeks off this summer. When I have several and feel a little more confident I think I will take you up on the coaching session/s. Thanks! In the mean time, I’ll just keep following yours for inspiration. Hopefully you’ll remember me, the passionate wellness rambler. Thanks for sharing about how your business works! Ever since you posted about your VA work I started thinking that it would be something I would enjoy and have the skill set for. I have always thought I would be a good personal assistant, but first with college plus work and then taking care of our first child I haven’t had time or the desire to work outside of our home. Do you have any recommendations on where to start VA work? I know your blog led to those opportunities for you, but having a blog is not a passion of mine. I’m wondering if it is possible to get started in the VA world without a blog? My husband is at a job he loves, but doesn’t pay as much as we need. I’m hoping to increase my income, while continuing to be a stay at home mom which has always been my dream ultimate job! I enjoy all your posts, but especially like the ones about Nora, since she is about 6 months ahead of my son. It is fun to share this crazy and awesome season in life. Thanks for any help you may be able to offer! Beth, since I basically “fell” into doing VA work, I honestly have no ideas of where to start looking. All the VA jobs I’ve gotten are a direct result of my blog — and I wouldn’t have the skills to do most of my VA work without prior knowledge of how blogs work and function. Here’s a great resource (ebook) I recommend to anyone interested in venturing into the VA world. It’s inexpensive and should answer a bunch of your questions! Thanks a lot for the helpful info. I now have something to think about. Since I started a blog for the simple reason of doing something different and having an outlet to share the things I love, I’ve also been exposing myself into fantastic blogging experts who seem to make it all so easy. I often wondered how did they do that? Well, I thought that’s really out of my league. And besides, they’re just so talented and they know what they’re doing from day one. But with you, since I felt that I know and trust you 🙂 I now have a valuable input about this matter, much like a trusted friend’s experience. So I’ll begin to inch my way into that direction and see how it can work for me. I was first introduced to your site when I was scouring the Internet for farmhouse pictures. 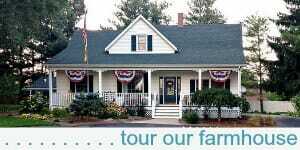 So I am just curious, where does farmhouselove.com fall in your history? And was that ever a means of making money for you? Haha — well FarmhouseLove.com was just going to be a little side blog where we posted all the pictures of our home renovations. But then I found out I was pregnant about 3 months into those renovations and I was too tired to update 2 different blogs. I never intended or tried to make any money from Farmhouse Love… but I have integrated some of our renovations into the “HOME” category on this blog. Obviously, I don’t post every little update we do around our house… more like the bigger projects. How do you get started with google adsense and how does it work? I am thinking about adding it to my blog, but not sure how it works. Please let me know. Thanks for your help. Melissa, you’ll definitely want to check out Amy’s blog for that. The main purpose of her blog is to help others to monetize their blogs. She has lots of posts all about AdSense. Would you say that, if God gives you a second or a third or more children, that it would be your goal to continue to make a full-time income? Or, would you lower your goal (to 75% income or some lesser amount) for a few years and then as the children head off to school, for example, gradually increase it back up? I see that you are gifted with an extraordinary amount of energy, but do you see varying your goals throughout the “multiple pre-school age children” years? Honestly, I have no idea. At this point, I would say yes, I’ll keep working as much as I can no matter how many kids we have. I’ll make sure my work fits into our family’s schedule and with more kids and older kids, I’m sure I’ll have to continually rearrange things — but that’s relatively easy to do when I set my own schedule. Of course, I can’t be certain though. Who knows what the future hold — I might come across a different income earning opportunity, I might decide I don’t want to blog any longer, we might have a super high-needs child that requires tons more attention… and if that’s the case, then our plans will change. Are you paid for your giveaways? I have a lot of giveaways lined up, but I find that they’re time consuming and aren’t often worth the time that they take. Yes Melissa, I’m usually paid for the giveaways I offer — plus I get some or all of the products I give away. However, over the past 3 or 4 months, I’ve really scaled back on the number of giveaways I host on my blog — mainly because they ARE so much work! You have NO IDEA how amazingly well this post is timed! I was just talking with my hubby yesterday about how much I want to get back to blogging and find a way to be self-employed doing things I love instead of slaving away for “corporate America.” His encouragement coupled with this blog post might be just the oomph I needed to pick it back up (I’ve sort of taken an unplanned hiatus from blogging…for the past 6 months…oops!). At some point, would you mind sharing a little more about how the advertising and sponsorships work on your blog? I have been blogging for friends and family for about 8 years now. It began as a way to keep them in the loop about our adoptions and then I found that it was a great way for me to keep track of our homeschooling. 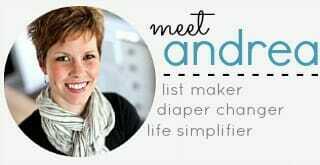 I then became interested in blogging as a way to share with others things I had learned about managing a larger family, adoption, craft projects, recipes, and money saving tips. Then in November, doors began to open up and it seemed as though God was directing me towards blogging as a way to provide much needed extra income for our family. I was able to go to BEECH Retreat, which motivated and propelled me to take blogging to another level. I am now making money off my blogging, just a few months later. It has taken A LOT of time and A LOT of work and it is not yet a full time income, though it is full time hours but I’m working towards that. So many people make it sound easy, so thank you for being honest here about how long it took you to make substantial money. It’s also really interesting to me how much of your income comes from being a VA as that is something I’ve been considering. I’ve certainly experienced that blogging income has to come from a variety of sources, but it all adds up! Thanks again for being so open and sharing this information! Thank you for this! I just launched my own VA business a few months ago. It is slow going, but I love what I do and look forward to being able to earn a real income in the (hopefully!) near future! It is so encouraging to see that others have done it and are doing it! Yay for a new business Chantel. Just keep in mind that it took me 5 full years of working full-time hours to earn a full-time salary. Of course, you might grow your business much quicker than I did, but don’t let yourself get discouraged if it feels like you aren’t going anywhere those first couple of years. Every time I have asked a blogger how they make money OR how they got started in VA work, THIS is the answer I was looking for. Thank you for sharing with us. I didn’t realize how ‘new’ to blogging you were when I found your blog. Your work has always been helpful, positive, and professional. Wishing you many more years of success. Oh, and thanks for the kind words!! Which affiliate companies do you use? I can’t use Google Adsense or Amazon Associates because of North Carolina’s laws, but I am trying out Clickbank. Oh boy Erica, there are SO many different affiliate programs, I’m not even sure I could start to list them all. I’ve never heard of Clickbank before — but here is some helpful information about affiliate programs from Amy’s blog. Hi Andrea, This was an excellent blog. So very informative. I really like several blogs; however, this is the first one I have seen that addressed the info I needed. I wondered just as you did, how in the heck do you make money from a blog? I could see of course, companies that advertised on your blog. I would love to do this because I have always loved anything to do with decor. You are great at so many things – multi talented. I am a horrible cook, organizer (I love things organized but just getting to that point) purger. Please don’t think I am just a dodo because there are things I am good at but not sure about blogging – really scary. There is still a lot I need to learn before I attempt it. The computer is not always my friend either. Oh, I also can’t sew, crochet or knit. I am blown away by how talented so many of you are. Love your blog and keep up the great work – I wish you nothing but the best. Thanks for letting me vent a little. You mentioned in one of your posts this week that Dave teaches online courses during the summer. Would you mind sharing how he was able to get a a job doing that? I’m on leave from my teaching position and I’m looking to make some extra money. As I also mentioned in a previous post our home was badly destroyed by Hurricane Sandy. We were lucky in that we were able to rebuild. Unfortunately some of our neighbors homes are still condemned or had to be knocked down. We had flood insurance but the amount they gave us was just barely enough to rebuild. We could use some extra income to make our home comfortable again. I’ve been thinking a lot about how I could make some extra money and keep up with my teaching…as I will probably be back to teaching full time again in the next couple of years. When you mentioned teaching online courses I was like hmm maybe I could do that. Thanks again for all of your hard work. Your blog is enjoyable and helpful! HI Siobhan, Dave got his online teaching job through a local Christian School organization — so I’m honestly not sure where to direct you. He did have to go through a decent amount of training during the school year, and I assume that’s the case with any company you work with. I’d just try Googling “online schools” for your area and see what pops up. Siobhan, try http://www.connectionslearning.com. It is an online school with home bases all over the US and in other countries. They post online and on site jobs. Hi Andrea :). I just wanted to tell you how inspiring this post was! You and I are the same age, so it is very easy for me to relate to where you are in life. I am trying to surround myself with people [by reading online] such as yourself that are doing what they love and making money at it. Then it is more of a calling or a career instead of a job. My husband and I have just started a home business doing something that we love, and we hope that it turns into a full-time income for me. Crystal Paine is such an inspiration to me, I am slightly jealous that you get to have so much interaction with her :). You two ladies are much appreciated! Thank you so much for this post Andrea and thank you for staying modest. I hate it when people get on and brag about how much or whine about how little they make. It’s not about what you make; it’s about getting paid to do what you love and that is exactly you! You are very talented and its been so much fun to watch you grow from Farmhouse Love (I think it was?). My blog is more of a diary and way to stay in touch with family but the more I post the more I can see myself enjoying sharing projects and my life with others. Thanks again for all you do and sharing your life with us. Truly an inspiration! I can’t imagine how organized you have to be to keep up with all of this! Although the idea of the blog and VA sounds wonderful I know I don’t have that skill set. But I do enjoy reading your blogs, seeing your ideas and learning in general! Thanks for posting your percentages – it helps to show other bloggers that may be frustrated with their current earnings how long it actually takes to build your online business (many months basically without pay, just like starting any other business in life) and your post helps to show that there are other ways to make money online in addition to having your own blog. Yes, I often get emails from other bloggers wondering why they can’t sell advertising or how they can make money from blogging. The truth is, it’s really hard to make money from your actual blog — especially in the beginning. I hope this post offers a reality check to new and seasoned bloggers who are frustrated with the lack of income from their blogs. Thank you for being so open with how you are monetizing your blog. I’m really new to blogging and putting myself “out there.” It’s a bit scary but oh so exciting! I landed on my branding idea in June 2012 while still working for a wind-down company. I did a lot of the ground work during the time I was still working (drafted a book proposal, had art work made, dipped my toe in “social media,” learned WordPress, etc.). Oct. 31, 2012 was my last day going into Corp America and I dedicated myself to my blog full time. My launch date was March 1, 2013. It took me much longer to launch than I thought. I could have done it earlier but I think fear held me back. I love blogging, the community of bloggers whose sites I visit (yours included) and the idea of being able to make a difference in peoples’ lives while earning an income. Thank you for writing this post! It answers so many questions that I’ve been wondering about. I want to start my own blog, but feel that my 10 start up posts (per Amy’s advice) lack focus. I haven’t found my niche yet in how to “be helpful”. Do you have any ideas on how to narrow down what my strengths are and how I can be helpful through my blog? I would appreciate any advice you may have. Thanks! Hi Barb! First of all, you’re doing the right thing by following Amy’s blog — she has tons of helpful information. Hi Andrea, I totally agree with you. Blogging takes time and lots of it. I just celebrated my 7 year blogging anniversary (yes that makes me a blogging gramma!!) and my full time income comes from a variety of different sources as well. Diversifying is key. Also having a passion for what you are doing helps too. If you don’t love your niche, it will never last for the long haul. You’ve done a great job growing your business, congratulations! Hahahaha…you are too sweet! I cleverly had my head shots taken after I died my grey hair lol. I love this post! Honest, true and a very good answer for all those people who want to make a quick buck at what they think is an easy job. I really admire what you’ve done with your blog and you’re career. Bottom line, like anything else blogging takes a lot of hard work and dedication to be successful.